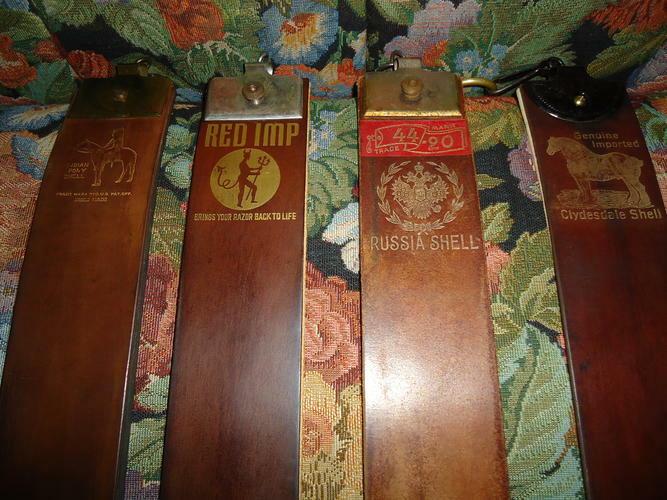 Here is my collection of four vintage shell strops and two horse hide. I am hoping it can help people that want a vintage one but are not sure what brands are good. these have worked very nice for me. Kees, lz6, ScoutHikerDad and 25 others like this. 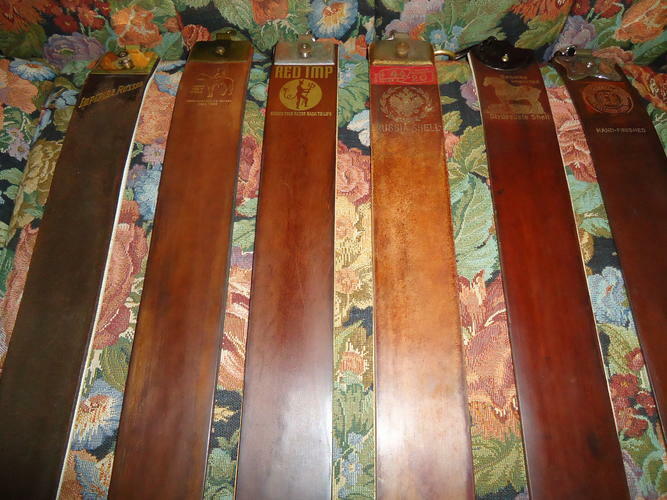 Love the old strops! Man, a nice Indian Pony! 44/20! I don't have a Red Imp, but I DO have a 700C Certifyd Russian. I have 2 or 3 of those Clydesdales. Really nice stuff, that! Oh! Makes me want to strop! Thanks for sharing and beating me up on Ebay! Last edited by sharptonn; 02-28-2018 at 12:22 AM. sharptonn, AlanQ, Toroblanco and 1 others like this. Toroblanco, you have some fine ones. If you are close to me, I could come over and rub those for you...The STROPS I mean! 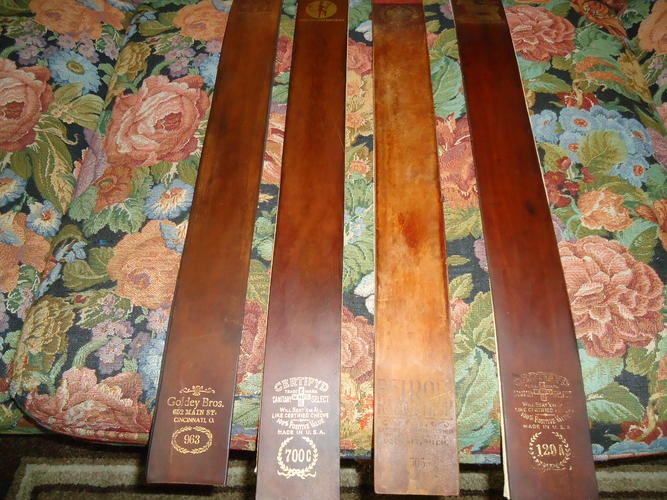 I have a strong attraction to vintage shave goods, like strops and razors, currently have no vintage strops and have been looking for quite awhile, do have lots of vintage straights that are in pretty excellent condition so getting a vintage strop in as good a condition would be sweet. sharptonn and Toroblanco like this. Seems you just came up with a nice Japanese one? Anyway, We DO need to get together and rub some strops. No excuse! Are Shell and horse hide the same? Shell, I think comes from the rump of a horse. Where else on the horse would "horse hide" come from? Thanks guys, but I would like to thank you and SRP for the knowlege I have gained in what to look for and what to avoid. There is a wealth of knowlege and outstandingly good people in here. That Red Imp is my favorite and only use it on my top razors only because I am afraid of nicking it. I use it very carefuly but it made me look for other shell strops and I found two more nice ones. Funny thing is, it was my least expensive at 25$ shipped. sharptonn and BobH like this. Oh, you just need to see my Russian!